DENVER, COLO. – Delwest Capital Group, a private real estate group based in Denver, today celebrated the grand opening of Park Hill Station, a $35 million transit-oriented, multifamily apartment project located across the street from the Park Hill Golf Course and adjacent to the new 40th and Colorado Boulevard Commuter Rail Line. The 2.5-acre site at 4055 N. Albion Street, previously owned by the Urban Land Conservancy (ULC), includes 156 affordably priced one-, two- and three-bedroom apartments with close proximity to downtown. Once the new RTD-FasTracks A Line opens on April 22, this location will be a convenient two stops from Union Station and five stops from DIA. The homes in this unique project will rent to tenants making at or below 60% of the area median income. 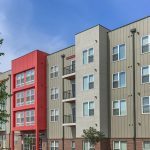 Delwest recently completed a market rate apartment project across the street from Park Hill Station and the difference in rents can be anywhere from $350 to $800. The partnership responsible for Park Hill Station includes Delwest, Denver Housing Authority (DHA) and Wells Fargo. The Urban Land Conservancy, the City and County of Denver and the Denver Office of Economic Development (OED) also provided funding for this project. Park Hill Station is also supported by cooperation from the State Division of Housing, U.S. Department of Housing and Urban Development, Colorado Housing and Finance Authority, Mile High Community Loan Fund, Community Capital Corporation, Daniel G. Morgan & Associates, Inc., and Citibank. Park Hill Station represents the latest affordable units to be created under the Mayor’s “3×5 challenge.” Announced in mid-2013, the challenge calls for the development, rehabilitation or preservation of 3,000 affordable housing units over five years. The city and the real estate development community have produced 1,714 units thus far, and nearly 1,200 additional units are under construction or scheduled for development soon. 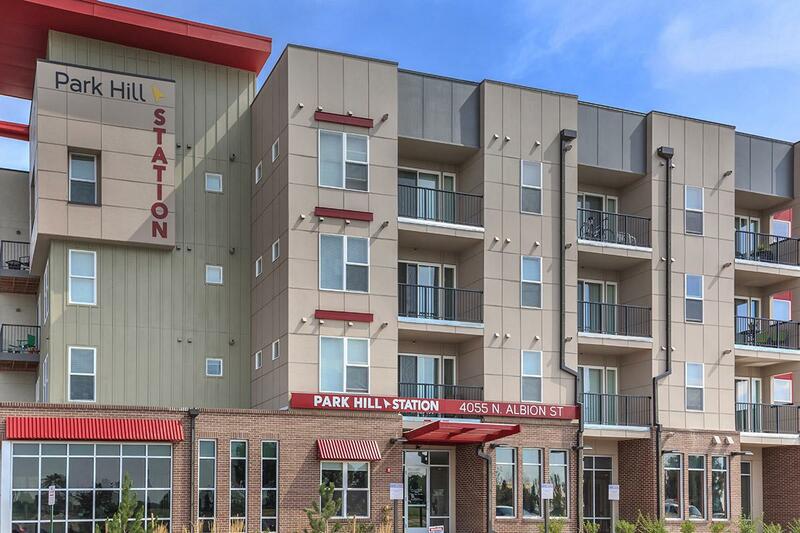 The OED helped support Park Hill Station by providing $750,000 in financing, with funds originating from the city’s Inclusionary Housing Ordinance special revenue fund and the federal Neighborhood Stabilization Program. In addition, the property site was previously acquired by the ULC with assistance from the Denver Transit-Oriented Development Fund, which helped to preserve the key location for affordable housing. 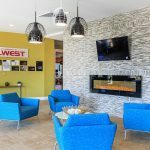 Delwest is a progressive property development and redevelopment company specializing in multi-family affordable and market rate rental properties, single-family homes, property management, rental income portfolios and redevelopment of distressed real estate. Delwest’s history in residential development is deep-rooted, dating back to the late 1920s when a stonemason from Northern Italy migrated with his family to Canada and applied his masonry skills to building homes in the greater Toronto area. Today, Delwest carries forward this legacy of homebuilding. The foundation of Delwest is built on a culture of values, innovation and integrity. This tradition inspires everyone who is connected to Delwest to be part of something bigger than themselves and have a positive impact on their community by exemplifying authenticity, enhancing communal experiences, and promoting healthy lifestyles.